Lethal Shots end the year in style courtesy of Impulse Wave. Uncontrollable Force is a head turning tune if ever there was one. Driving kick and bass and the most intense of vocal samples sit amongst the vast array of production trickery and an ominous hoover stab before the tune takes a turn for the beautiful with a lush breakdown that will make your spine tingle. Vocals and breakbeats add to the party before the tune smashes back in with menace. 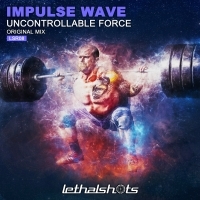 Lethal Shots never disappoint and neither does Impulse Wave. This is a marraige made on the darkside!! 'Uncontrollable Force' is available now from Beatport and iTunes.